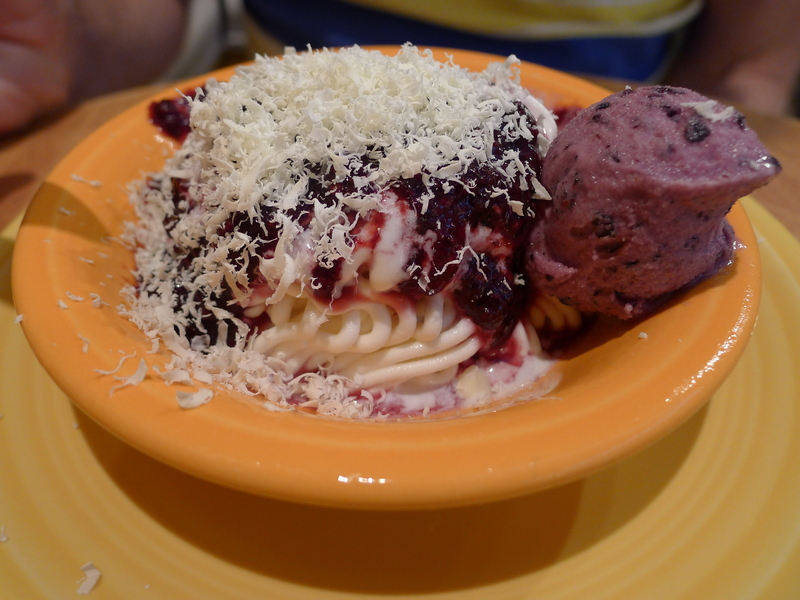 A few days ago, I spotted something bouncing around on Twitter: Spaghetti ice cream. Yes, I double took too. What exactly did it mean? 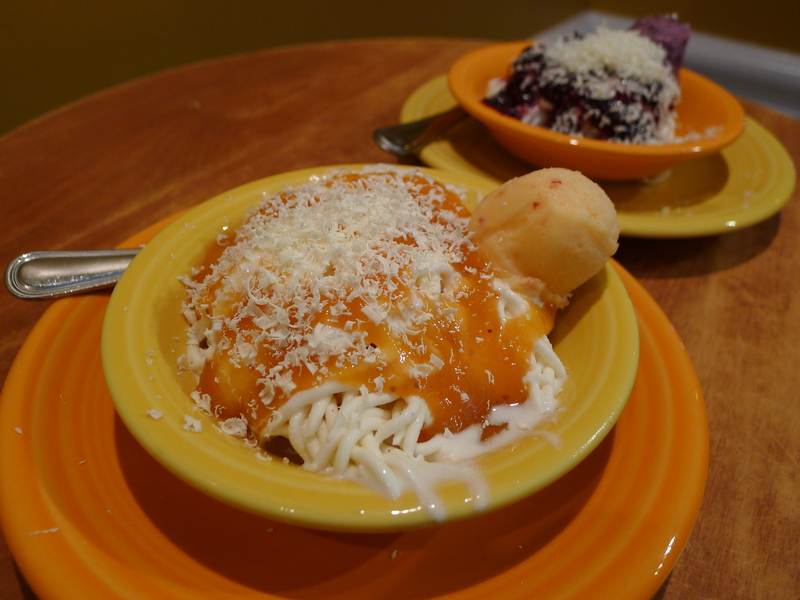 Spaghetti with a dollop of ice cream? 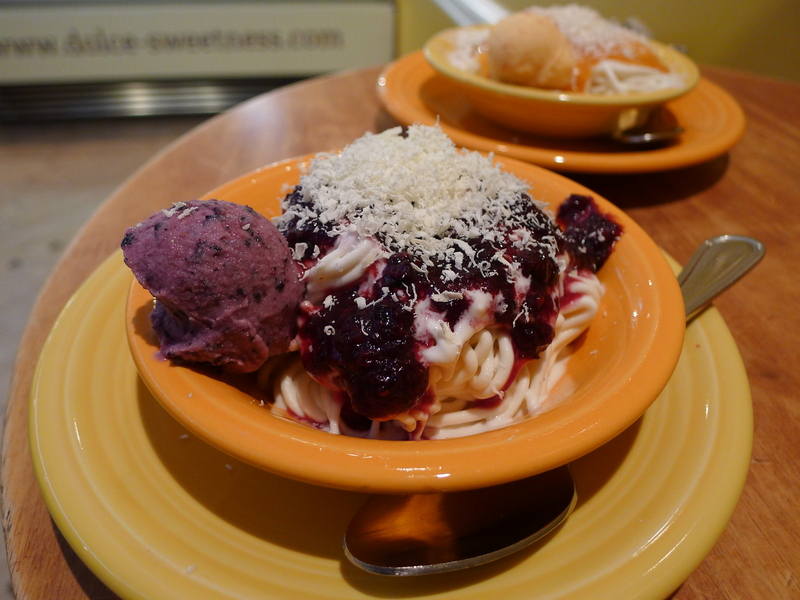 Ice cream flavored like spaghetti? 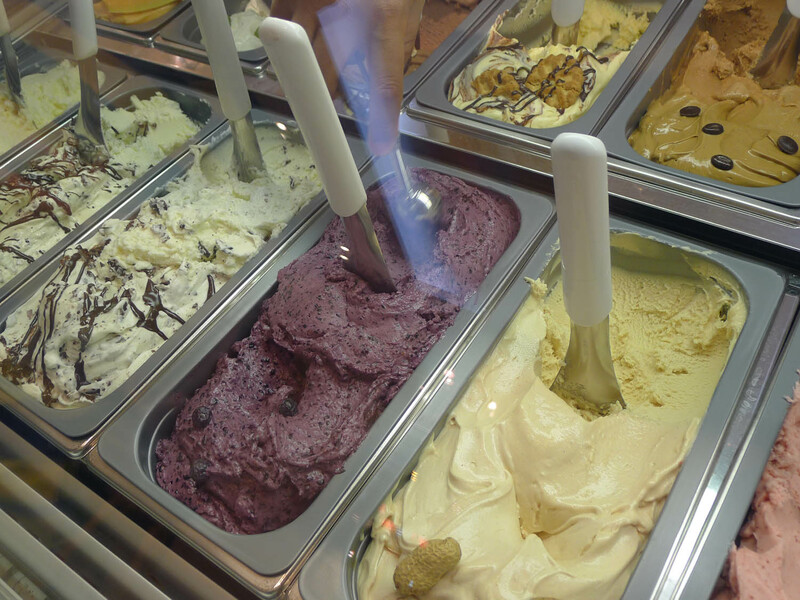 In fact, it’s something far more delicious: Ice cream piped to look just like your favourite Italian dish. 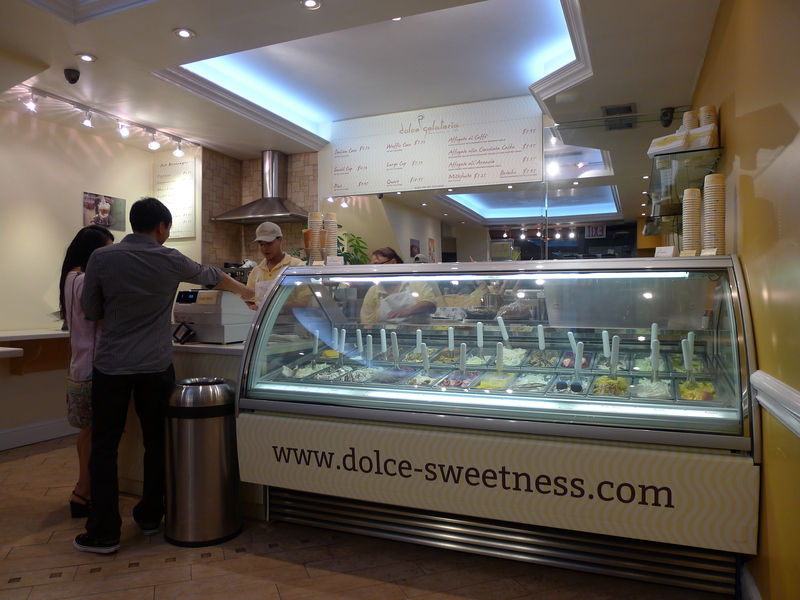 Ryan and I headed to the Dolce Gelateria, the tiny West Village ice cream shop responsible for New York’s version of spaghetti ice cream. 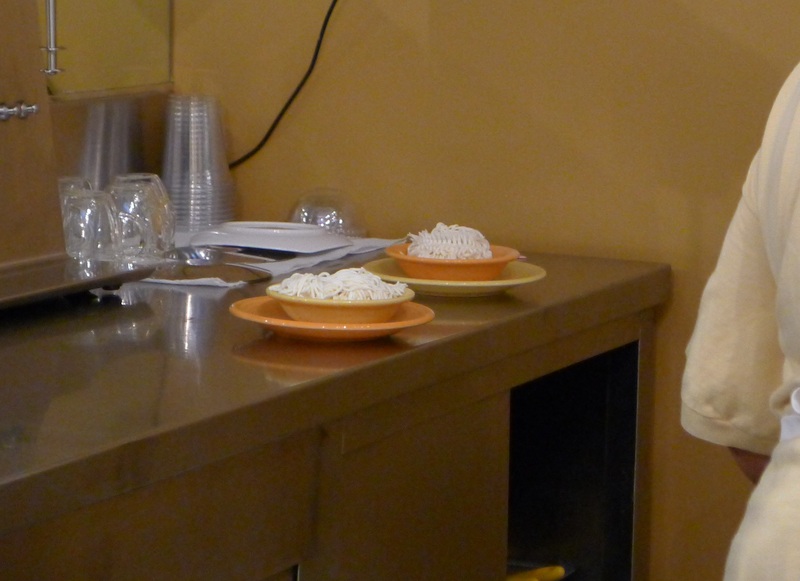 The cafe is pretty unassuming and the menu doesn’t have the dish listed – so you need to know what you’re doing. 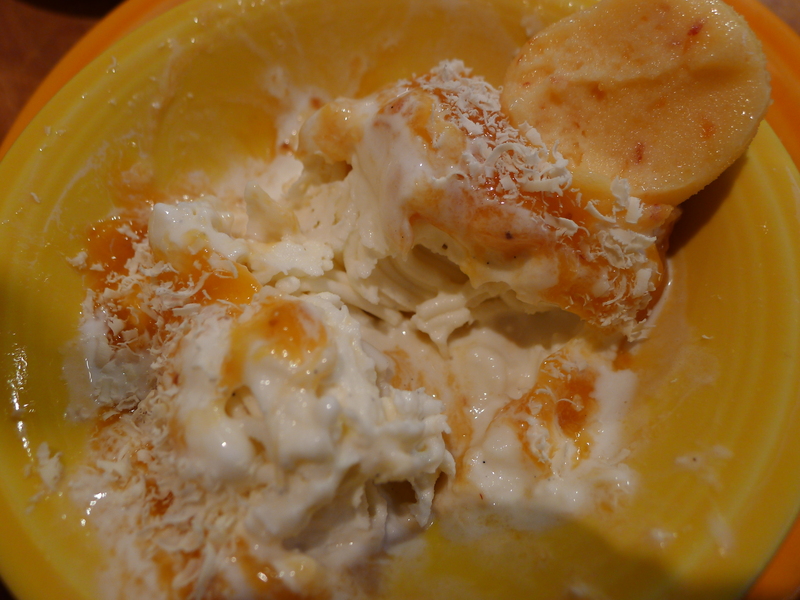 They take vanilla ice cream and force it through a potato ricer, leaving it in long, sturdy spaghetti-esque strands. 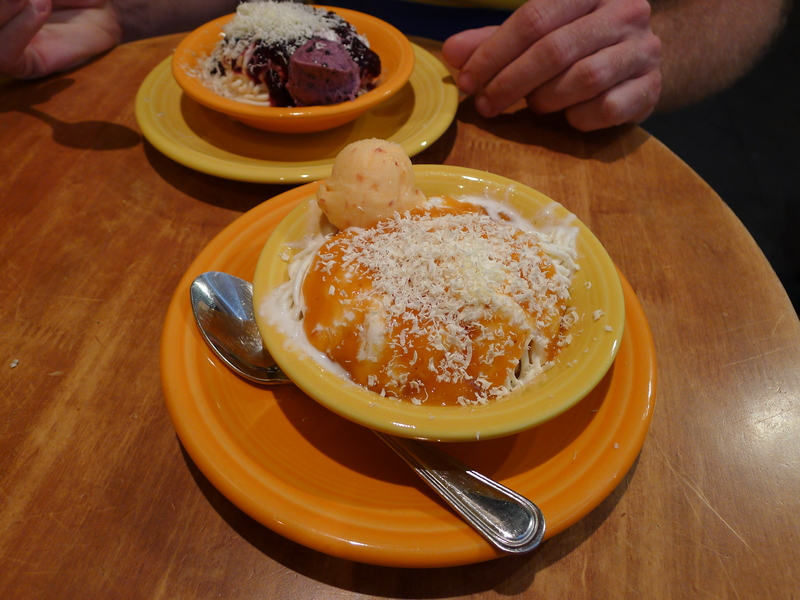 You can pick an orange sauce (mango and peach) or a darker sauce (blueberry) to go on top and then a scoop of any ice cream to act as your ‘meatball’. 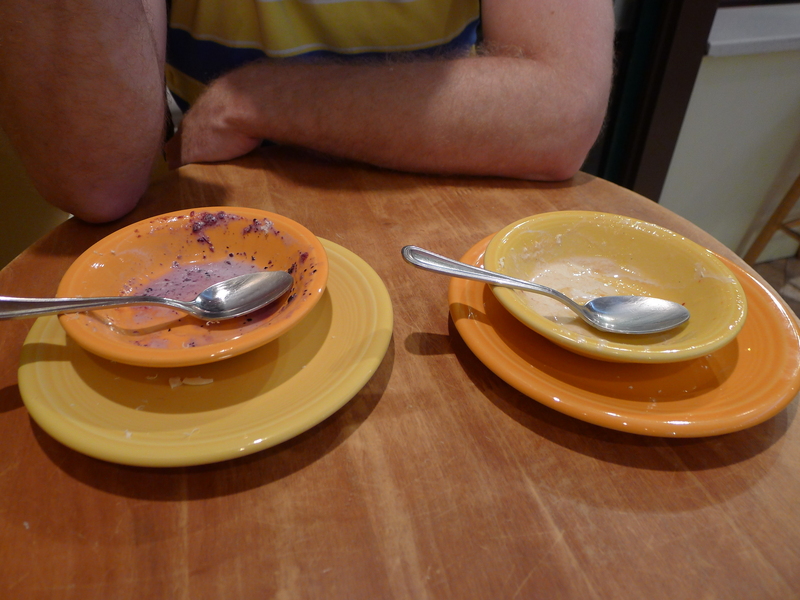 Ryan went for the darker sauce with a scoop of blueberry ice cream, while I chose the orangey sauce with a peach ‘meatball’. 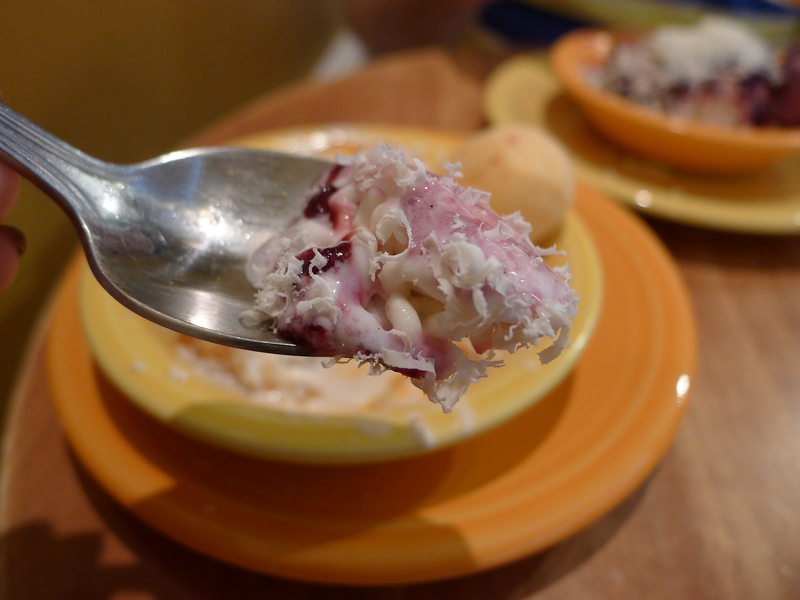 Then, to finish off the look, they sprinkle white chocolate ‘Parmesan’ on top. This was so cute and I didn’t want to touch it, but the strands were soon dribbling into each other, so I had to get to work. It was a little confusing though – at first I didn’t know whether I should blow on it to cool it down. 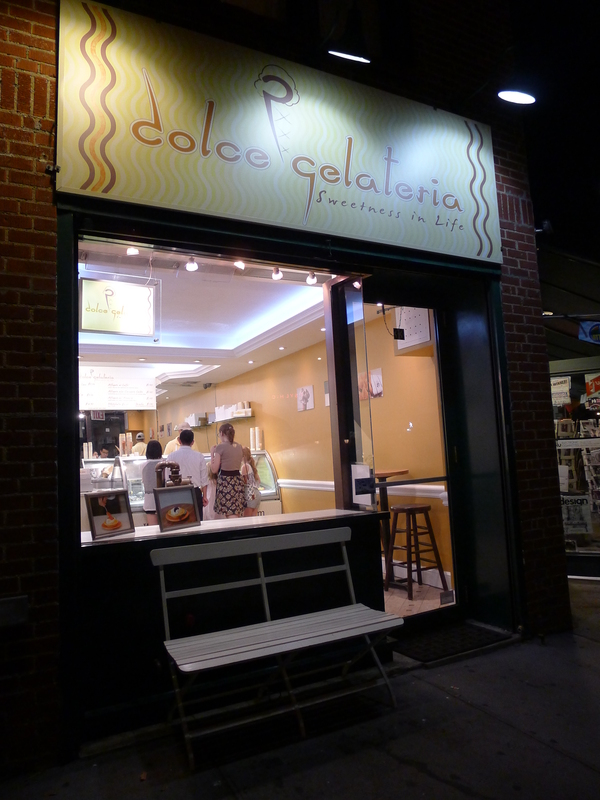 The vanilla ice cream – something I’d never opt for from a store – was delicious. 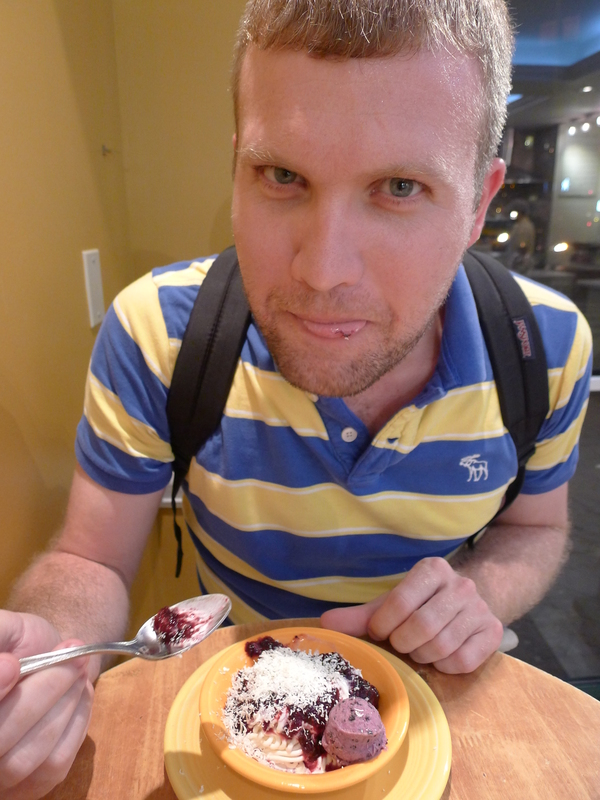 In fact, it kind of overpowered the peach ice cream, but Ryan said the blueberry flavor was a winner. I am a big ice cream fan and this made it even better. Yes, it didn’t taste any different from normal ice cream and the texture wasn’t altered. 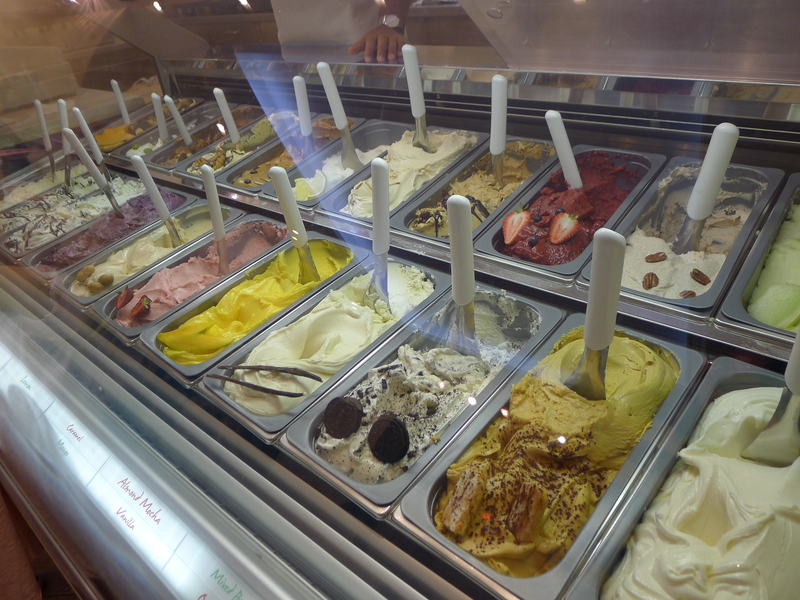 But it was fun and made me appreciate the ice cream rather than wolfing it down. It would be interesting to see if they could make it look even more like spaghetti – maybe a sauce that’s darker and richer in color. But there were very few other complaints. Check out our plates!